Thinking of selling Juice Plus as a Franchise? So after reading this website if you still want to sell juice plus and join the franchise, here are some of the guides they give their sellers. 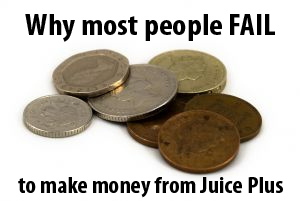 There are many questions answered here of why people who are involved in the juice plus franchise all sound the same its important to read everything in here before getting involved as it will answer a lot of your suspicions. The most important facts are at the bottom… the juiceplus franchise selling guide and you will soon understand why those involves with the franchise publish the posts they do on the social media networks. Juice PLUS+ is consumed & recommended by thousands of healthcare professionals around the world. How can Juice PLUS+ help us? It’s a simple, practical & affordable way to add more nutrition from fruit & vegetables to our diet, every day. Juice PLUS+ is not a substitute for eating more fruits & vegetables but it certainly helps to bridge the gap between what we should eat & what we actually eat! 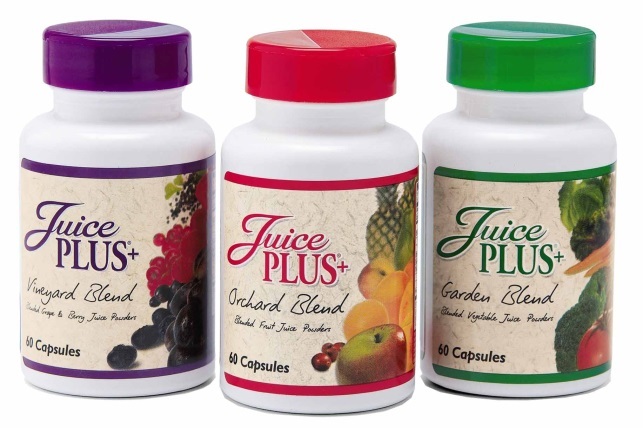 Juice PLUS+ Fruit Blend contains apples, oranges, pineapple, peaches, cranberries, papaya, acerola cherry, dates & prunes. 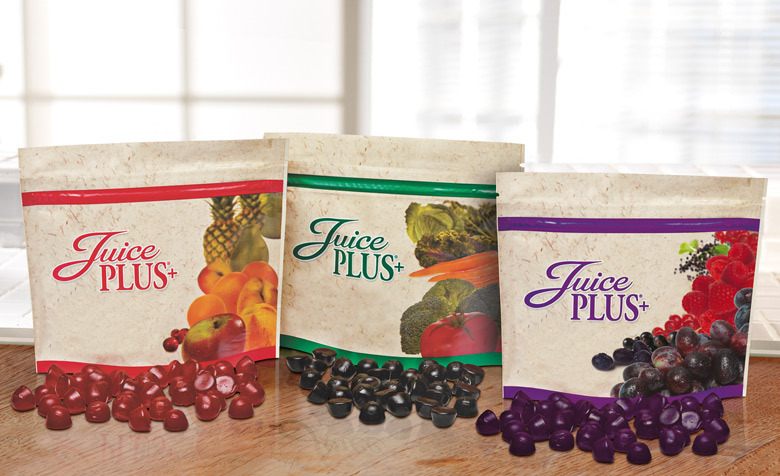 Juice PLUS+ Vegetable Blend contains beets, broccoli, cabbage, carrots, kale, spinach, parsley, garlic & tomato. Juice PLUS Vineyard Blend contains concord grape, raspberry, blueberry, redcurrent, cranberry, blackcurrent, blackberry, elderberry & bilberry. Ideal as BREAKFAST to get a great start to the day. A quick, tasty & convenient solution. A delicious SNACK… Snacking is the main cause of weight loss!! Excellent for SPORTS PEOPLE… pre exercise energy drink, Low GI (slow releasing good carbohydrates) Post workout RECOVERY drink. 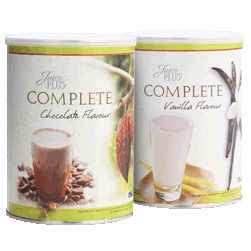 What is in the Juice PLUS+ Complete? What can I mix with the shakes? v Mix one scoop with 1 of the above and either get your client to have 1-2 low fat balanced meals depending on how many drinks they have per day. NSA gives you the opportunity to start a business which does not require the huge investment which is normally needed to start a traditional franchise, and which does not present the costs and risks which are usually associated with an independent activity. It is a flexible business which can be adapted to your needs. You decide on your own objectives and how much time you can devote to it. You can start part-time and develop it into your main income source. The Juice Plus business is flourishing today because it is offered exclusively through person to person marketing of NSA. People always become interested in a product if they hear someone they know and trust sing its praises. Naturally they want to know more. This is your turn….and why we encourage you to share Juice Plus with your friends, family, neighbours, people you go to school with, or work with. You want these people to enjoy the health benefits of Juice Plus. And they’ll be interested in learning more because of your personal conviction with the product. The NSA Marketing Plan describes your progress in detail and its worth has been proven through years of experience. Thanks to its effectiveness, people from more than 20 countries have been able to achieve life long dreams. With the Juice PLUS+® Personal Franchise you do not reach the top by chance. It takes commitment and determination but no one can block the road ahead or limit your success. The Juice PLUS+® Personal Franchise is for all people who love to achieve personal goals by helping other people to achieve theirs. Identify the next position you want to achieve and help your friends/partners to do the same and all together you can reach all your professional goals and your desired life-style. The secret to making money in the franchise business is to build your team. Sponsor people and teach them what you know. The bigger your team grows the more your pay cheque will increase! You will receive 10% commission off your own orders. 7% commission off any downline orders, and 8% of any of their downline orders. You get paid 5 generations down. You have a full calendar month to hit your first bonus which is 2500 points. 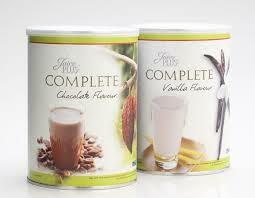 Complete shake orders give you 108 points, Premium Capsules will give you 200. Your sponsor (the person who signed you up) will be your main source of support. They will train you, show you how to build your business. Any questions will be directed to them. You also have access to a Sales and Support Office who deal with any franchisee queries or customer orders. There are Facebook support groups also. There is no stock to buy for your franchise. You input your customers order online. Juice Plus invoices, delivers the product to the customers door and collects the payments from the customer every month. All you need to do is become a support to that customer. You provide them with a “Welcome Pack” via email, add them to the Facebook support groups if necessary and nurture them on their journey. Business is built in each calendar month which is 1st – 30 / 31st of the month and you get paid 10th of the following month. You will be self employed so will need to sort register with HMRC within 3 months to declare this. Share links from the JP franchise Website – on your online office under Training, Personal Franchise Manual then chapter 7 there’s a list of links to websites. Sports, Science, etc. Facebook aside, there are a host of social media tools available to you twitter, instagram, linked in etc. Don’t just limit to one social media avenue when there are lot’s out there that can help you generate interest in the product and your business. Be a product of the product; if you don’t already know YOU SHOULD BE USING THE PRODUCT because if you’re not using the product then how you can share your juiceplus story/experiences?! You can achieve everything you want by helping others to grow their franchise. If you speak to 10 people but only get 1 client don’t feel sorry for yourself as a stat has appeared and this is amazing information. Chances are, if you go and speak to another 10 people then you’ll find another cleint for your franchise!! Finally, where do you see yourself in two years time in your franchise….in exactly the same place or do you want more for you and your family? Lots of people go to university for many years and study long hours every day yet this is no promise of a job at the end of it. In the business, if you apply yourself you can literally build a small fortune in no time….so what are you waiting for? !